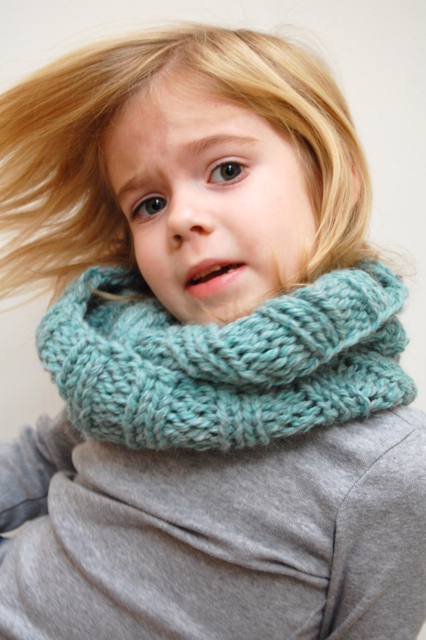 If you give a girl a cookie, she might agree to let you take one pic of her wearing her new hand-knit cowl. 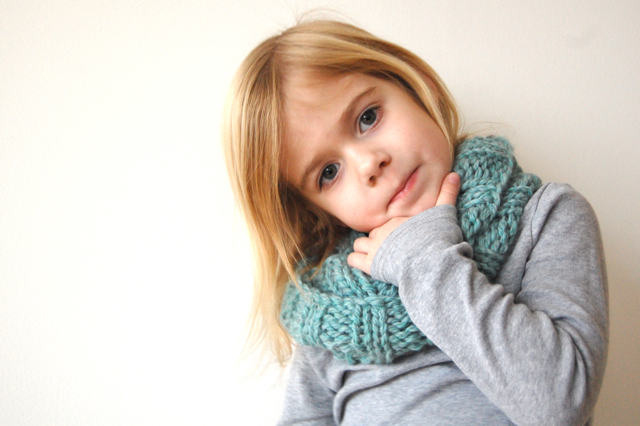 My little beauty. 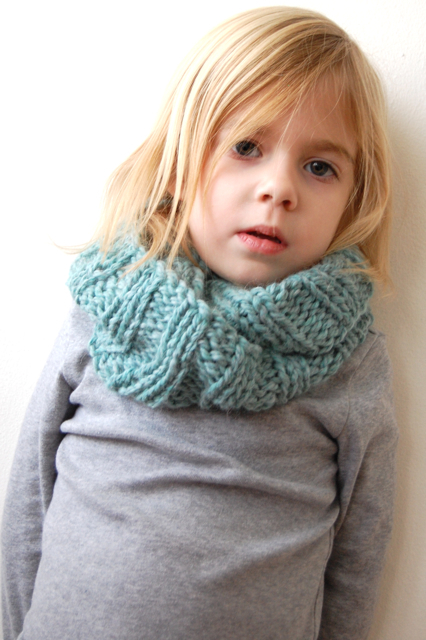 This is the Mallory Cowl by Shannon Cook of luvinthemommyhood. 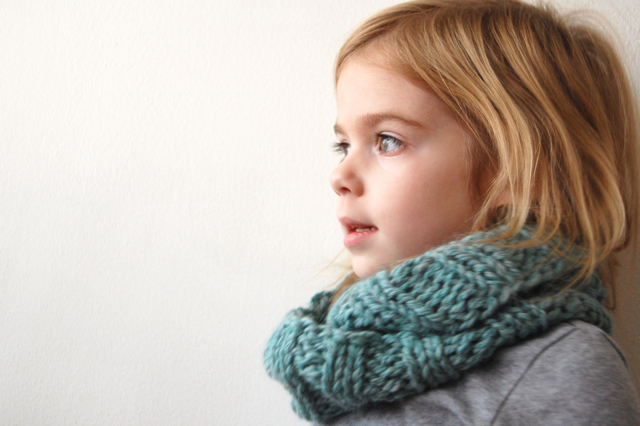 You can snag the kid and adult-sized pattern right here. (e.t.a. 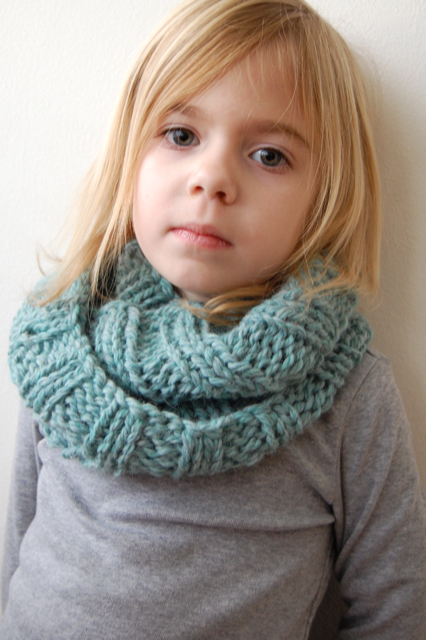 I knit this using Mirasol Miski – 100% baby llama – in 'storm.') 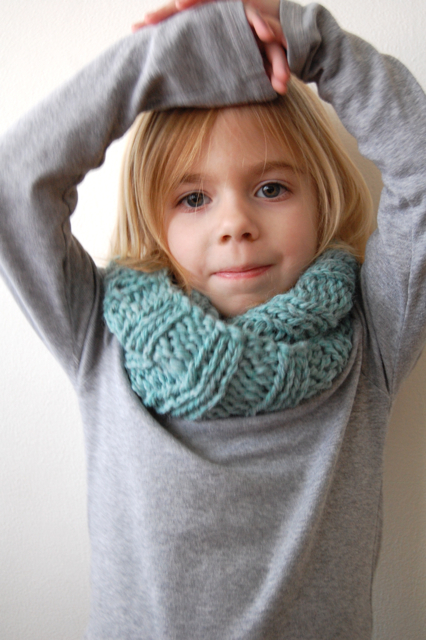 Here's to cuteness and keeping warm. Awh, it's so cute! And she is too! LOVE THIS! Especially the yarn...can you tell me what it is? !